Equine Enthusiasts! 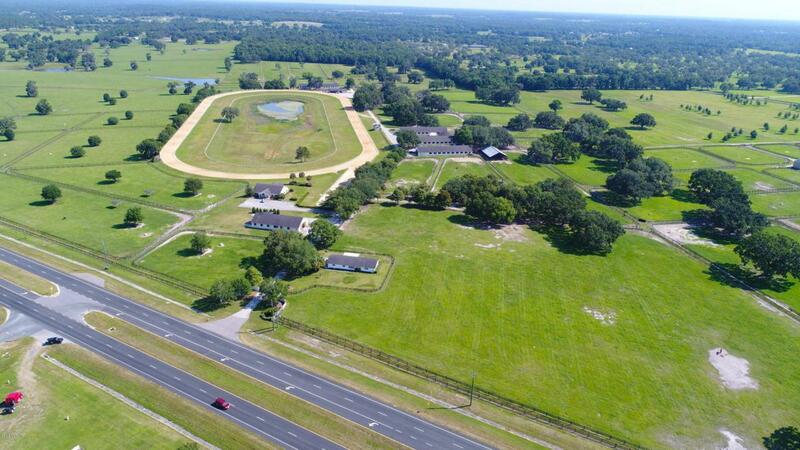 Thoroughbreds, Quarter Horses, Hunter Jumper, Eventors, Paso Finos, Consider this prestigious unique 114+/- acres just past Golden Ocala Golf & Equestrian Club. Beautiful vistas from every view, lush pastures, impressive Granddaddy Oaks. Corporative office overlooks 5/8 mile track. 5 Barns plus amenities. This is one you should call on to discover its potential and incredible options Plus-Location! Location! Location! Currently income producing. Adjoining land available.